LOOKING FOR A CLEAR PATH TO FINALLY CREATING A SUCCESSFUL BUSINESS USING YOUR SKILLS, PRODUCTS OR SERVICES?! Hello, my name is Faviola Valencia - Aranda, founder of Faviola the CEO Hustler, Elite Services 4 You and, Entrepreneur Cafe Biz. I’m an experienced Professional Spanish Interpreter, Interpreter Trainer, and Business Coach. I’m proud to say that I built a million dollar language agency 19 years ago (from the ground up with no experience), using only my basic business and bilingual skills! So, if you are like many who feels like you’re going in circles trying to make things work, yet you’re still not getting the results you want, or maybe you're feeling overwhelmed, exhausted and, frustrated because of all the things you have to do, but don’t know how to do them...Does that sound like you? Or, maybe you’re like many who is just not focused, because of all the overwhelming online frenzies going on, and now you are feeling, even more, overwhelmed, frustrated, confused because of all the advice, the downloads, the freebies, the training and yet you’re still struggling because you are still not getting what you need...the “basics, the basics steps” for you and your business...Does that sound like you? Well, let me tell you...I know how you feel I was in your same "shoes" 19 years ago! And because I’m a “Business Junky, Love Helping Others, I Have a Passion for Business and Love What I Do”, I’m going to help you get things straightened out, so you can build an awesome and successful business moving forward! 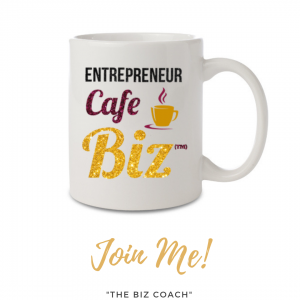 My exclusive Entrepreneur Café Members Only Group is currently open for enrollment and since you’ve landed here, my guess is that you want to find out more right? 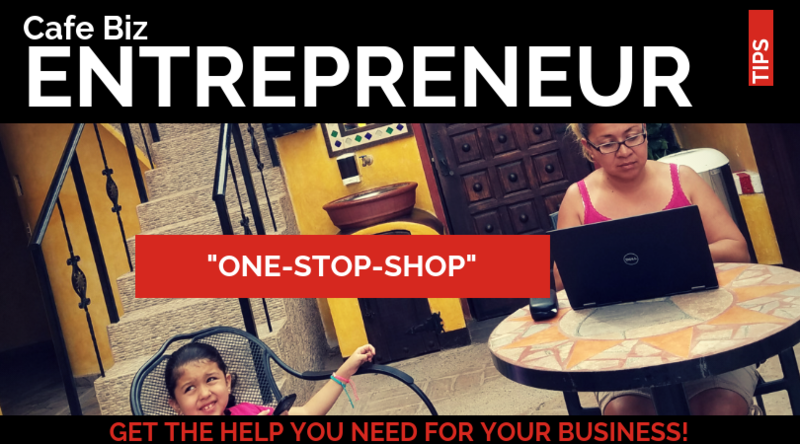 I’ve helped thousands of entrepreneurs start, grow and, decipher their business and I’d love to help you too. No more struggling trying to figure it all out by yourself, come and join me and let’s get your business started and on the right path! So, join me for Coffee while you enjoy all the “Bells and Whistles” I have to offer you and your Business. Join any of my 3 Memberships to fit your budget and needs. Don’t have your Exclusive Mug Yet? Order Today, or receive yours FREE when you Join any of my monthly Paid Memberships!